NOSE: Red berry and cherry aromas, with light smoke notes, and a hint of toasted almond. WINEMAKING: Aged for 10 months in French oak barrels. NOSE: Apple, peach, and orchard fruit aromas. PALATE: Very dry, with crisp apple, citrus fruits, high acidity and good minerality with great structure. WINEMAKING: Hand-picked grapes are slow pressed, to preserve the aromatic quality of the variety. Fermentation takes place in temperature controlled stainless steel tanks, followed by aging in stainless steel for 3-4 months depending on variety, then bottled. PALATE: Dry, with apple and pear flavors, and medium acidity. NOSE: Dark and red fruits dominating, with secondary aromas of light smoke. PALATE: Firm tannins balancing the intense acidity, with blackcurrant flavors, and well integrated oak notes. WINEMAKING: After harvesting, varieties vinified separately, then undergo a cold pre-fermentation maceration of 4 – 5 days, followed by a post fermentation maceration of 15 – 20 days, depending on vintage and variety. Aged for an average of 12 months in French oak barrels. VARIETIES: Blend of Grenache, Syrah, Carignan, and Mourvedre. NOSE: Wonderful perfumed aromas of cherries and raspberries. PALATE: Ample mouthfeel, with red fruit flavors, notes of vanilla, and supple tannins. WINEMAKING: After harvesting, each variety is vinified separately, then blended according to the vintage quality. Aged for two years in a blend of French and American oak barrels before bottling. NOSE: Hints of white ginger, apricot, and honey. PALATE: Flavors of peach, creamed apple, apricot, and peach. Balanced and sweet, with 150 g/l residual sugar, and great acidity and potential for long aging. WINEMAKING: The harvest is performed by experienced grape pickers in three to six successives elective pickings, in order to collect at the ideal ripening stage of “noble rot.” Extracted through slow pressings, the rich and pure must ferments in oak barrels. Ageing then starts with 9 month in oak barrels, in the coolness of the cellars and is regulated by the weekly topping of the barrels and regular rackings. This is then followed by another 9 months in stainless steel tanks before bottling. 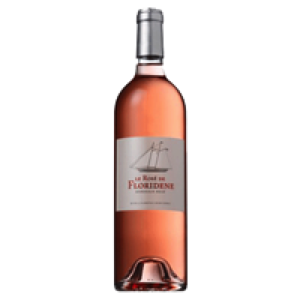 NOSE: Fresh red fruits, with hints of passion fruit and wild strawberry. PALATE: Tangy redcurrant and bitter cherry flavors, with good energy and wonderful acidity. WINEMAKING: Produced using the saignee method, preserving freshness. The must is then clarified by natural settling, followed by temperature controlled fermentation in stainless steel tanks. Aged for 4 - 5 months in stainless steel.